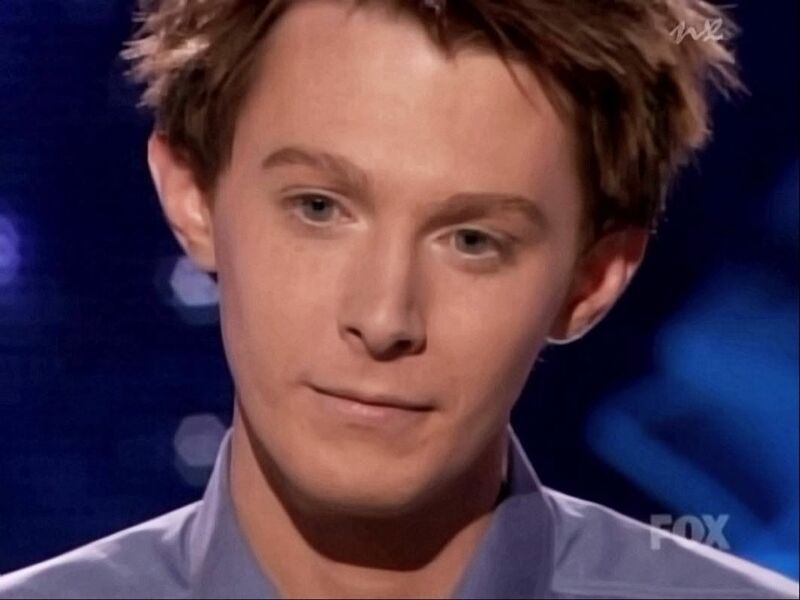 Those beautiful lyrics were sung by Clay Aiken on March 18, 2003. It was “Movie Night” on Season 2 and each contestant sang one of their favorite songs from a movie soundtrack. The highlight of the evening was “Somewhere Out There” from An American Tail. Clay sang it beautifully. It was a good song choice since it showed off his remarkable range and it was popular with people of all ages. It was a great night for Clay and an exciting time for all of his fans. The following night, the audience was given a full hour of the results show. There was lots of talking by assorted people and verbal sparring between Ryan and Randy. One of the highlights of the show was the group song, “Footloose.” The contestants performed it with a lot of energy and they moved all over the theater. They worked well as a team and their voices blended well together. Finally, the audience found out who was in the bottom three. Josh, Trenyce, and Ricky were safe, but the next person, Julia, was in the bottom three. Clay was called next and Ryan says: “America is in love with you.” After Clay, Ruben, Carmen, Kim L. and Kim C. are all declared safe, Corey and Charles joined Julia in the bottom three. Sadly, Charles was eliminated on Movie Night. After singing an encore of his song, “You Can’t Win” from The Wiz, the hour show was over. Although this was only the second episode of this popular show, it was already obvious who the leaders were going to be and the audience let the performers know that Clay and Ruben were loved. The following video shows a question and answer session, Clay’s performance with the judges comments, and the group performances, a trip to Old Navy and the first look at the mansion. It’s really fun to see it all in one place. I am sure you probably have seen this before, but it’s fun to see it again. This is one of the best on American Idol!! And Clay…we really miss hearing from you! Just a little tweet means a lot! 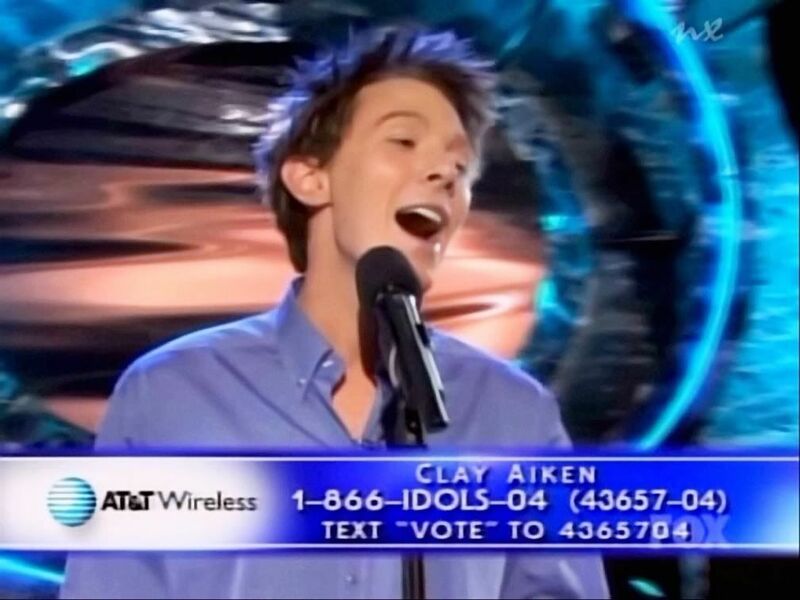 Love the Claymemories CANN shares with us! I enjoy especially the ones from American Idol! Thank you! Yes, I was thinking the same thing; nothing lately from Clay! Come on Mr. Aiken!!! Great video! How wonderful watching that segment again! Hands down they were the best group of singers!! I don't think any group surpassed them! Am I right?? Of course I am! Thanks musicfan !! Wonderful memories!! OMG! What a fantastic video. I haven’t seen those segments since the original airings. That years AI really was the most talented and most popular singers of all the seasons. Clays song is one of my favorites. He did it so effortlessly. Wonderful post. Hope to hear from OMC soon. ❤️ UNCONDITIONAL love for you Clay. Error: Error validating access token: Session has expired on Tuesday, 21-Aug-18 16:13:01 PDT. The current time is Wednesday, 24-Apr-19 01:37:34 PDT.